The search for meaning has consistently been one of mankind’s biggest distractions and aspirations. The questions “Who Am I” , and “Why Am I Here” resonate with most people. Like many people, I have grappled with both of these questions for most of my life. I have gone through thoughts and exercises to explore the “why” of my life, but until recently, the question “Who Am I”, had felt somewhat incomplete. Recently I had a revelation about who I am, and where I came from in relation to my ancestry. My father’s family to be exact. The information that was shared with me has deeply affected me and gotten me thinking about my family history and my relation to others in ways that I never imagined. Like everything these days, it all started with facebook. I was checking recent facebook messages when I saw that I had some unread messages in the often-overlooked “other” tab that is reserved for people that aren’t your friends. There I read short month-0ld message was from someone named Chuck St. George and was asking who my great-grandfather was. He was asking the right person. I’ve been trying to track down information on the SanGeorge family, and specifically my great-grandfather, for years. 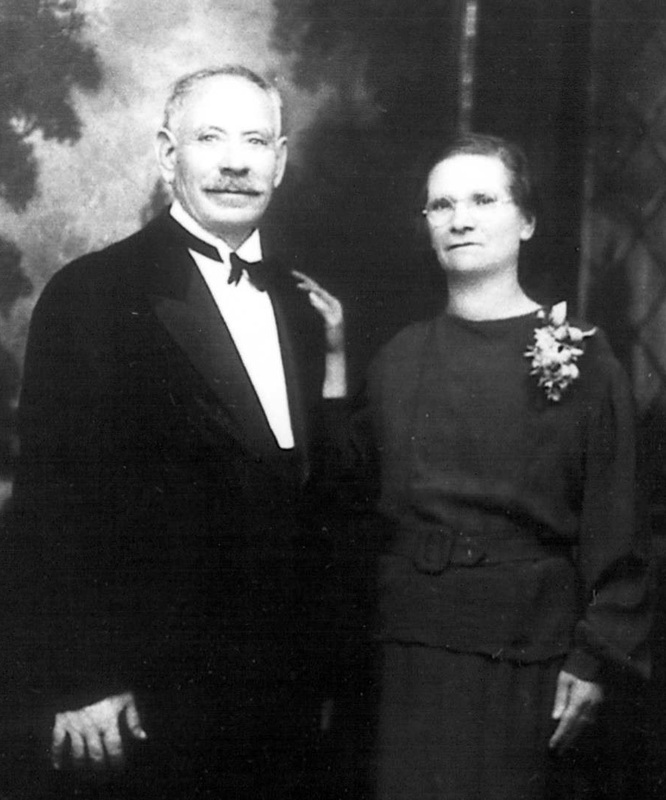 I knew that my great-grandfather Orazio SanGeorge and his wife Madeline Zanghi immigrated to the US from Sicily, but that was pretty much all I, or the rest of my family knew. The family tree stopped at the US border. It’s not that I felt unconnected, but something felt incomplete because I didn’t know any more than that. Who were my great-grandfathers and great grandmother’s parents? Why did they leave Sicily? I felt deep gratitude and curiosity towards these two, who at a young age decided to leave the old-country behind to risk everything on the dream of America. It turns out that Chuck St. George was indeed my cousin and he had done some extensive family research and tracked the SanGeorge family all the way back to the mid 1700’s in Sicily! His research revealed many of the things I was looking for all of this time. One of the big revelations to the whole family what that for at least the past 300 years, our family name was Sangiorgi, not San Giorgio as we were all told, and not SanGeorge, Saint George, St. George or San George, as we are named now. If you are interested, here is a copy of the Sangiorgi family tree (click to enlarge). I also learned that my great, great grandfather Francesco Sangiorgi had nine children, all of whom were born in Valledolmo, Sicily, and most of whom settled in the Western New York/Buffalo, NY area, where my family is from. In the past I’ve met people in Buffalo with the name Saint George or St. George, or people with family with those names, but I never knew that they were actually my cousins. In one odd circumstance, it turns out that one of my closest friends is actually my cousin. Another interesting fact is it that the town of Valledolmo, Sicily experienced a mass exodus in the mid 1800’s. Record indicate that up to 8,000 people left that town to arrive, and settle down in the Buffalo New York area. Suddenly my home town and my life seems much smaller, and more connected. Not only does this information give me more complete vision of my family, it also connects me to a much larger Italian-American community in Buffalo. I’ve been given a gift of a window into the past. A vision of the the faith, the risk and the sacrifice that my fore-fathers took. It gives me a greater appreciation for my current life and the privileges I have because of them. I owe them a debt of gratitude for having the foresight and courage to endeavor for a better world for them and their families. 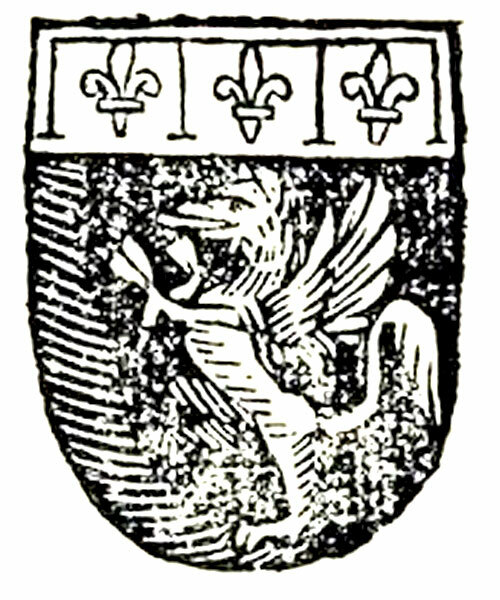 Since then I’ve recreated the Sangiorgi Family Coat or Arms, Click here to see it and/or and buy a sticker. Remember the good old days when the furthest planet in our solar system from the sun was the planet Pluto, and the biggest dinosaurs were called Brontosaurus? Then came the uncertain days. Pluto wasn’t a planet anymore, and poor old Brontosaurus (which means Thunder Lizard) went the way of the dodo bird. 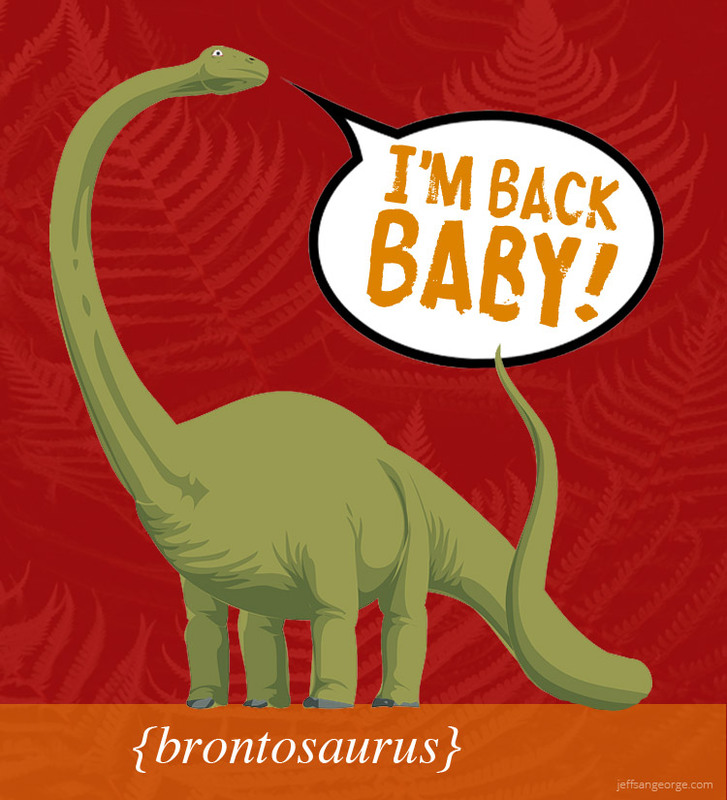 Even worse than the dodo, the Brontosaurus wasn’t extinct, scientists told us it never even existed. They told us that these dinos were actually Apatosaurus all along. How disappointing! Now these things are coming back to us. Pluto is once again a planet, not just a lump of ice. And as of today the largest of the dinosaurs, the mighty and majestic Brontosaurus is once again validated as its own Dinosaur! The young scientist inside of me suddenly feels at peace with the world again. 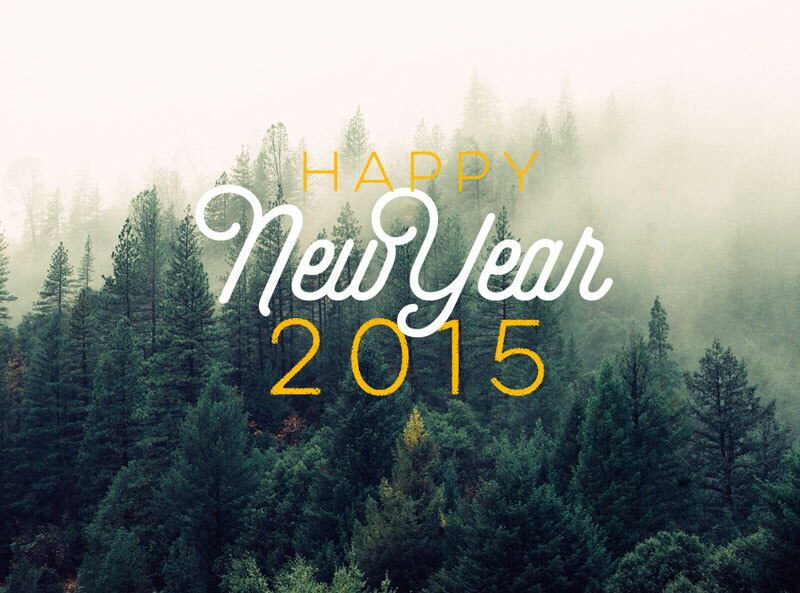 Each new year brings new hardships and new opportunities. I’ve recently heard many people express their relief that 2014 has ended. At first I was inclined to join them. This was a difficult year for me in many ways and when I look back, the bad things tend to stand out more than the rest. But in many ways, 2014 was also a very good year for me. There were plenty of professional and personal achievements this year, as well as fun times with friends and family, yet these things seem less distinct to me that the hard times. How often do our reflections take the good things into account? It seems like looking forward is always through a positive lens and looking back is through a negative lens. Then again, don’t we grow and learn from hardships? Isn’t it the difficult times that build character and perseverance and motivate us to try harder next time? I don’t know many people who succeeded without failing first. It’s life’s hardships that give us the education and motivation to build future success. At the very beginning of 2015 my perspective is this; yes 2014 was a hard year, but I’m going to learn from each hard lesson and use them to fuel education and motivation for the coming year. We don’t know what the future has in store for us, but if we make a solid plan with realistic goals we are in much better position to shape our future. We are always on the threshold of our own futures, but on New Years day it is more obvious than ever that the future begins now! This post originally appeared on the Magnetic Blog. Some of us work our whole lives with the goal of being comfortable. We strive for a comfortable home, a comfortable car, income, etc. There was a time that I subscribed to that type of thinking; life would be better if I could just be “comfortable”. I think it was the cable TV show What Not To Wear that first woke me up to this deceptive word. Whenever the person getting a fashion makeover tried describing why they wanted to hold on to one of their old, beat-up, pieces of clothing they almost always described the clothing as comfortable. At this the show hosts would cringe and go on a rant about why comfortable is not on the list of criteria for looking good. 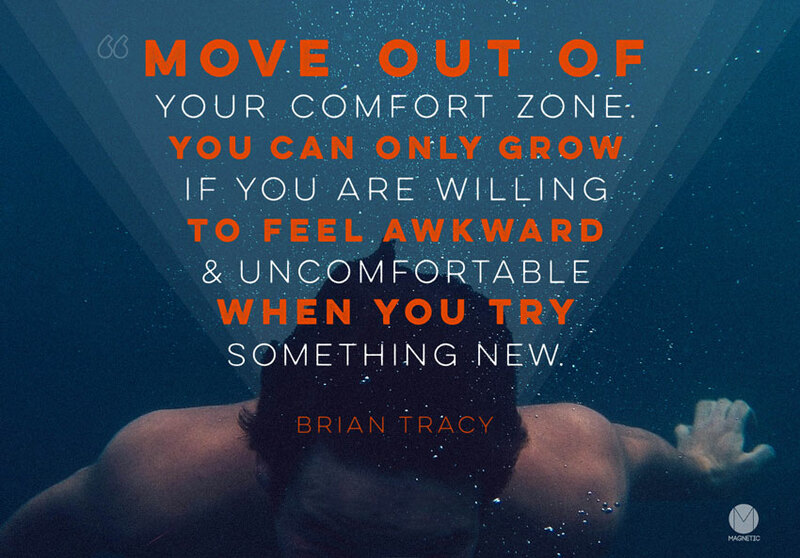 In the same way, comfortable does not make the list of criteria for being successful! I get it. Life is hard and it’s easy to become complacent. I’m that way too. I remember seven years ago I was not only complacent, I was stubborn about being complacent. I was seeing signs at work that my job may be eliminated, but I was choosing to ignore them. I remember telling my wife, “It took me two years to find this job, I don’t have the energy to look for another one now!”. Yet despite my will-power and determination, and (especially) despite my complacency, my job was eliminated, just as I knew it would be. Because of this I was in the worst position of my life; No job and little preparation for finding another. I’m not sure what I could have done at that late date, but whatever it was it would have been better that doing nothing and pretending the problem didn’t exist. I love that Brian phrases this quote so well. He uses real words like awkward, and uncomfortable. Brian is right, it is awkward to put yourself out there. When you’re on a new path you’re out of familiar territory. You may venture off of the path and you may get bumped and bruised, but there is something that will surely happen: you will move forward, and you will grow. Does coffee give us super-powers? Maybe not. Does coffee help us work harder? Does it motivate us, keep us alert, inspire us? Yes it does! Coffee fuels ambition, designs, code and yes, it can even help sales. 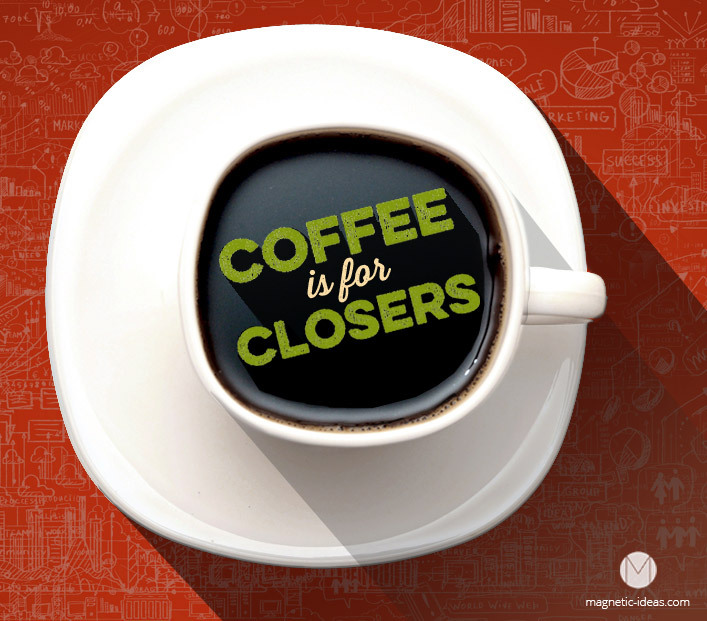 The quote “Coffee is for closers” has a true ring to it for anyone who is ever made a sale. It simply makes sense. Closers drink coffee. Coffee gives them the edge they need to make the sale. This is the way I like to think of this quote. Blake goes on to tell them about their new sales contest. First Place gets a Cadillac, second place gets a set of steak knives, and third place gets fired. This scene, and this movie depict the worst selling conditions and the harshest type of sales pressure there is. This type of selling has always left a bad taste in my mouth. When I was young I worked in an office where this type of high-pressure selling was part of the corporate culture. I didn’t do the selling, but I sat in on the sales meetings, helped run the contests, and witnessed the culture that valued the sales numbers over everything else. Something never did sit right with me about this type of sales, part of it felt dirty to me. Sales are important. Heck sales are very important, but sales is not everything. Because of this nagging feeling, this bad taste I had in my mouth about sales, I struggled when the day came when I had to sell. The day that I realized that I had to be a salesman was the day I opened my own business. All of a sudden I had to be the one making the sale. I had to be the closer. Having to feed my family was an excellent motivator, and I soon overcame my fear of sales. But in the process I realized something. When you are providing a product or service that has value equal to the money that is changing hands, you have more than a sale, you have a mutually beneficial transaction. And if the product or service meets or exceeds the expectation, you can have more. That initial transaction can be the basis for something much more important than a sale, if everything goes well you can build a relationship, and a relationship is something to celebrate! Put that on your sales chart. So what is better than pouring coffee down your throat while making phone call after phone call, desperately trying to make a sale? A better way to use coffee is sitting down with your prospect and sharing a cup of coffee, while taking the time to know them and their business. Coffee is for closers, but closers build relationships. In this day and age there is enough information available for us to make some pretty strong conclusions about the relationships between our diets and our health. For my family, eating organic has gone from an occasional thing, to 90% of the food we buy. Besides that our family has gone from just me eating gluten-free, to a “mostly” gluten free and a vegetarian diet. My kids are quick to say that they aren’t vegetarian. They jump at the chance to eat the chicken, cheese and hamburgers that we don’t feed them anymore. I’m glad that they can enjoy other foods when were eating out, or at friends house. But when it comes to our house, they eat what we eat. Don’t get me wrong, I’m not trying to convert others to this diet. I believe everyone should be aware of the things that are in our food that makes it bad for us and ,eat what they think is best for them. I am advocating understanding what you put into your mouth. Since we have made the switch this past summer I feel much better than I used to in many ways. I’m less tired, get upset stomach less, and I haven’t been sick a day since I’ve started it. These days I’m much more satisfied with a kale salad then I would be having a greasy cheesy steak. 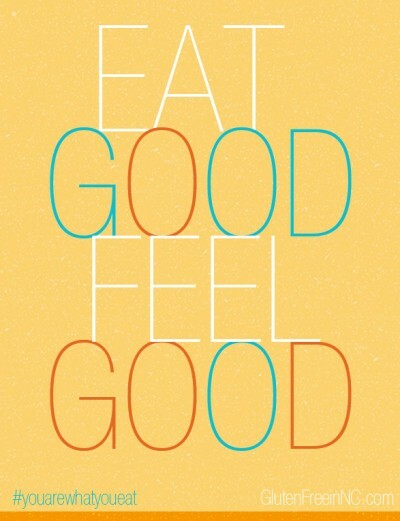 Eat Good, Feel Good has proven a true statement for me! The intersection creativity and technology has called to me ever since I first learned how to run Adobe Photoshop on an Apple computer back in college. I was amazed at what could be done with a mouse and a keyboard (once I learned how to use them), and a little bit of creative thinking. That was 20 years ago. Today my interest in exploring creativity and technology have taken me way beyond Photoshop, or anything I could have ever imagined in 1993. The onset of faster and smaller computers has brought about amazing transformations in how we all use technology in our daily lives. The social networks have brought people together in new ways and mobile technology has put the power of computers at our fingertips 24/7. With all of this new connectivity came new opportunities. A whole new marketplace opened up on the web. Digital marketing was no longer an afterthought, but has become the focus for many smart organizations. As the digital dust settled, several clear ways to market on the web emerged: Social, Search and Content marketing are three main areas that have proven themselves as effective. And lets not forget all of the creative folks it takes to build the web itself. 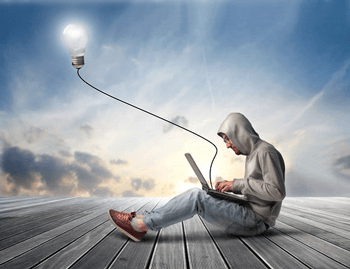 Programmers, developers, designers, copywriters and videographers are more important than ever as the internet is consistently being built, re-built and expanded. The marriage of creativity and technology is the driving force behind the big changes in our world. It’s what fuels innovation, drives marketing campaigns, and creates websites with awesome user interactions and useful applications for your mobile phone. How are you involved in the ever-expanding world of creativity and technology, and how are you keeping up with the skills that will keep you relevant in this fast-paced digital landscape? If you live in North Carolina, the ConvergeSouth conference is an excellent way to learn from, and interact with, the top minds in these fields. The ConvergeSouth speakers are professionals who are engaged in these activities day after day. Take the time to register for ConvergeSouth today. After all, exploring Technology & Creativity is the reason why this conference exists. Visit out ConvergeSouth.com for more information. And make sure you stick around at lunch to see my session: Facebook, 10 bite-sized tips for facebook pages. Change is a tough subject. Many people hold on to habits and ideas. What can make people change? What can make a household, or a community, or a city change? And how can a few forward-thinking people be Agents of Change? These are the types of questions we will be discussing when Ja-Naé Duane come to visit the Triad on her Agents of Change Tour on Wednesday, September 4th at noon at the Moose Cafe, at the Piedmont-Triad Farmers Market. Ja-Naé is no stranger to these types of events, a few years ago she came through Greensboro as her and a few friends made their way across the U.S. on the Our Revolution tour. As someone who has done this is major communities across the nation, Ja-Naé should give a unique, experienced perspective on the types of questions that many of us ask regularly about our area. Join us on Wednesday, September, 4th at noon for lunch and invigorating discussion about these lofty issues, and how we can make them into reality in our area. This is a free event. (you just pay from your own lunch) We will be in a private room at the Moose Cafe, at the Piedmont-Triad Farmers Market. Please contact Jeff here, or via Twitter if you have any questions, or to let us know if you will be coming. One-woman revolution Ja-Naé Duane is an intrepid speaker, strategist, social scientist, artist, creative economist, and author of How to Start Your Business with $100 has captured the media’s attention, appearing in The Associated Press, NPR, Classical Singer Magazine, The Boston Globe, and Business Week. Her impressive skill set and unwavering commitment to improving the quality of life for the global community garnered Ja-Naé a nomination as one of New England’s Most Innovative Leaders of 2007. Ja-Naé spearheads a plethora of ventures as CEO of Wild Women Entrepreneurs, CEO of Ja-Naé Duane Ventures, Co-Founder of the Massachusetts Artist Leaders Coalition, and Founder of The Leaders. 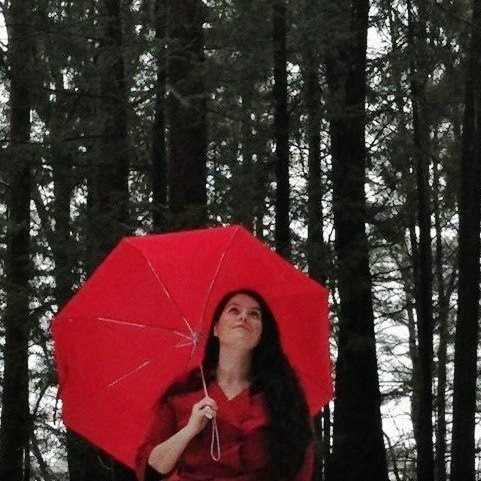 Additionally, Ja-Naé is a professional opera singer, a social media strategist, and a faculty member at Northeastern University. Her latest book, “How to Create a Revolution: A Step-by-Step Guide to History’s Social Influencers” can be found on Amazon and iTunes. For over almost two years now I have been collaborating with David Horne. It started when he hired me to design and develop a website. Next I hired him to write some copy for a client. Since then we’ve continuously worked together on at least one project at any given time. David’s perspective and expertise on digital marketing, and content strategy have proven to be invaluable to my clients. His skills are a good compliment for my web design and development, web marketing, social and search strategy. As we began to seriously consider a partnership, we talked about what exactly that would look like. One of the first steps was agreeing on a company name, and it proved to be a real challenge as we began to see just how different our perspectives were on many things. At first I was concerned at this seeming lack of continuity, but soon came to realize that this was not a problem, but an asset! David and I have the ability to look at an issue and come up with two distinct and valuable perspectives. We share a mutual respect for each others opinions and use these opportunities to learn from each other. With all of that behind us there was nothing to do except to formalize our partnership! With David and I coming from different perspectives and different backgrounds we thought that the dynamic interplay of the magnetic poles was a good way to describe and visualize our partnership. 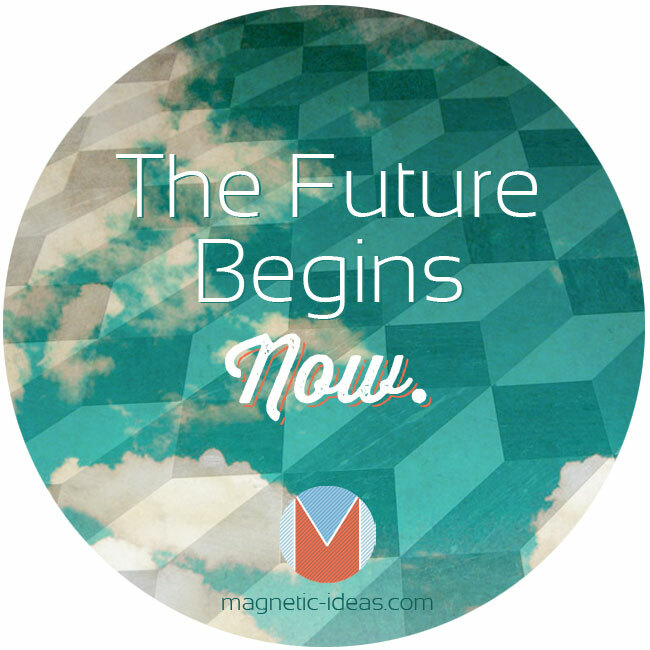 So our new company is called Magnetic Ideas, a full-service, digital marketing firm. Magnetism is an unseen force that compels and propels, much like the forces that are used to market products and services. Our core services are web, content, search and social. We are excited about the expanded services we can offer through Magnetic. I know that both David’s and my existing clients will benefit from this new arrangement. Visit our Website for more information. Thanks and Happy New Year! 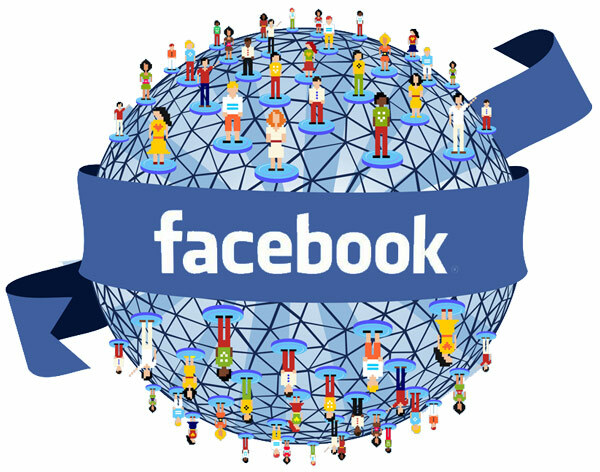 In the past few years most businesses have created Facebook brand page. In the recent past, one popular way to use these pages was to create a landing page as a way to force new visitors through a “fan gate”, which provided an opportunity to display some branding, messaging and get them to “like” the page. That tactic worked great for a while, but as many of you know, Facebook is always changing. With he rollout of timeline Facebook discontinued our ability to send traffic directly to these “cool” landing pages. All visitiors are now sent directly to the timeline. This resulted in a 53% decline in visits to tabs. That’s right, those tabs that you spent time and resources creating are less than half as effective as they were last year! The one thing that hasn’t really changed much is the importance of keeping your page updated with good quality content. Creating regular posts that inform, entertain and engage your fans remains the number one activity that you should focus on with Facebook. After all, on the web content is still king. What Facebook has changed is how they displays these updates. Facebook uses an algorithm called edgerank to score your updates. The more likes, comments and shares your posts get on a regular basis, the higher edgerank score you have, and the more people will see them. For example, if I am following a brand’s page and like or comment on their posts frequently, their posts will be rated higher in my news feed. The higher your edgerank, the higher reach your posts will have. Conversely, if you are getting very few likes & comments your posts will have a low edgerank score, and will be stuck way down in people’s news feeds, where thay probably won’t see it. In the past if you wanted to increase exposure to your facebook page, you would buy facebook ads. These ads are sold on a pay per click (PPC) basis and would be delivered using highly targeted demographics from facebook’s users. This system worked pretty well (and still does). The newest way that’s becoming a “go-to” tactic for promoting your page is using Facebook’s sponsored stories feature. Instead of being banished to the side of the page like ads, stories are in the news feed. Another key difference is that sponsored stories come from friends who have somehow engaged with a page. Maybe it’s because the messages are integrated into our friends updates, but whatever the reason, data shows that sponsored stories work! Try these tactics on your Facebook page and let us know how they worked, but don’t wait too long, who knows how long it will be before Facebook changes things once again!